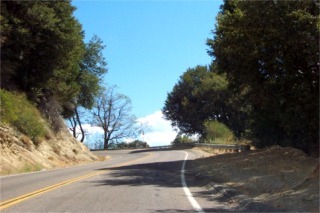 OK, the highlight of this trip was the nicest roads yet. So, I have a few shots of them on this page. 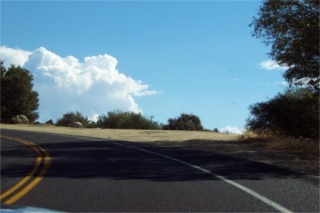 The scenery was gorgeous but the roads were twisty and fun. Very popular with the motorcycle crowd. 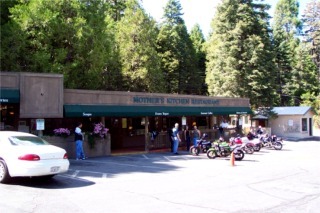 This is Mothers kitchen. Again very popular with the bikers. So much so that at Mothers Kitchen there was a sign telling them not to hang out, not to be abusive of paying customers and so on. Seems there can be some pretty large biker crowds. Not sure if there is a specific group that misbehaves or not but they give us all a bad wrap. 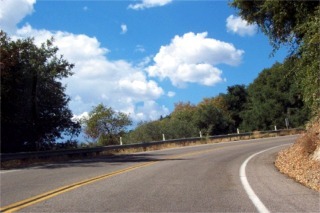 Uh Oh.. watch out.. watch out... Hey on some of these corners if you go off the road you are in serious trouble unless a cloud catches you. At the top of Mt. Palomar besides a National Forest there is the Mt. 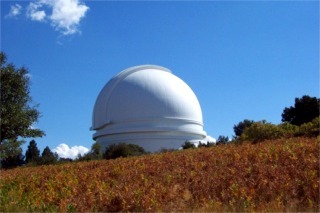 Palomar observatory. It has a 200 inch telescope. Seems that these days nobody actually sits at the eyepiece but instead they use photographic media or electronic recording devices. The human eye can only see 2% of available light while these other means can capture 97%. They basically expose them for hours to catch all the available light. Like I said the road is the star on this trip... 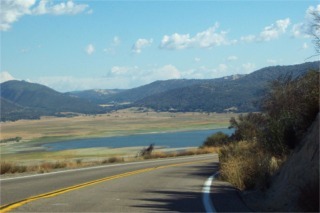 This is lake Henshaw. And one last shot. Going up the east side you are on S6 and it is real steep and twisty. Down the back side is S7 and the curves are more gentle and slightly banked. I call them Heaven.